Tuesday, 27 September 2011, Day 308/365. 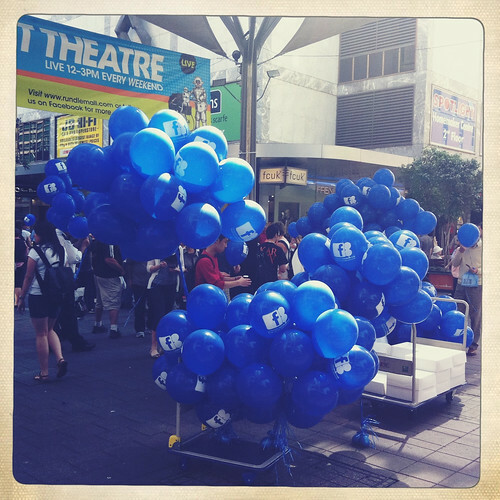 Walking through Rundle Mall last Tuesday lots of kids had blue balloons. I wondered where they came from and then I saw these. I think it was a promotion for Rundle Mall. I also think they were giving away cupcakes. My first thought was free food. My second and final thought was, no, I wouldn’t have one and that thought ruled.